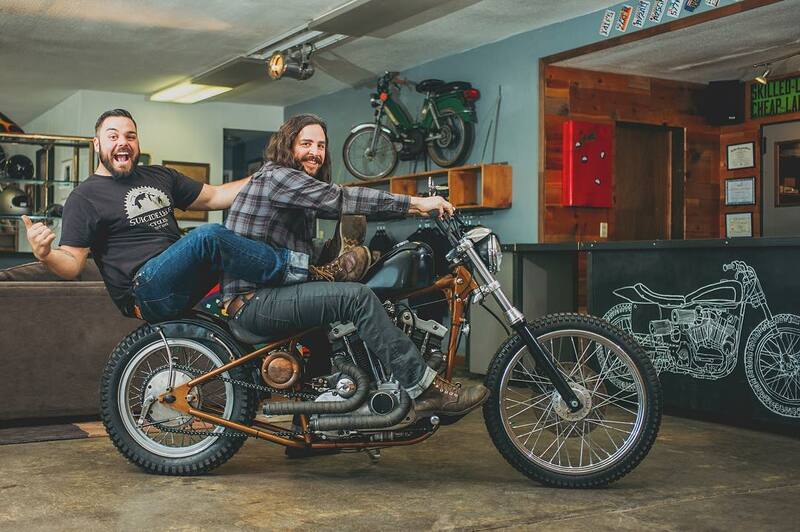 A couple years ago I had the privilege of meeting Nik Garff and Davy Bartlett, two custom motorcycle artisans with a passion for being authentic and building very cool bikes. Nik and Davy are the American Dream. They began their shop in 2012 in LA and moved shortly thereafter to Salt Lake City. 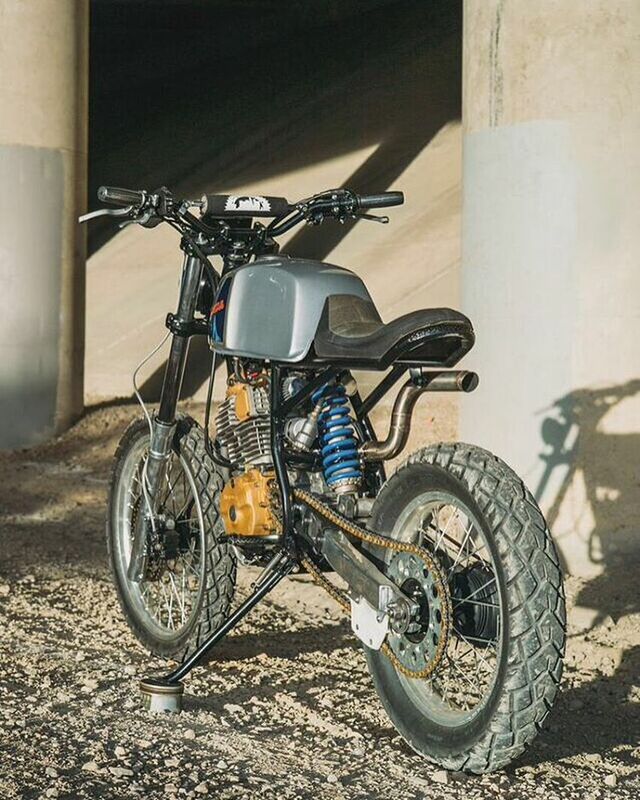 Their shop, Suicide Lane Cycles, is the perfect mix of small shop and huge capabilities. 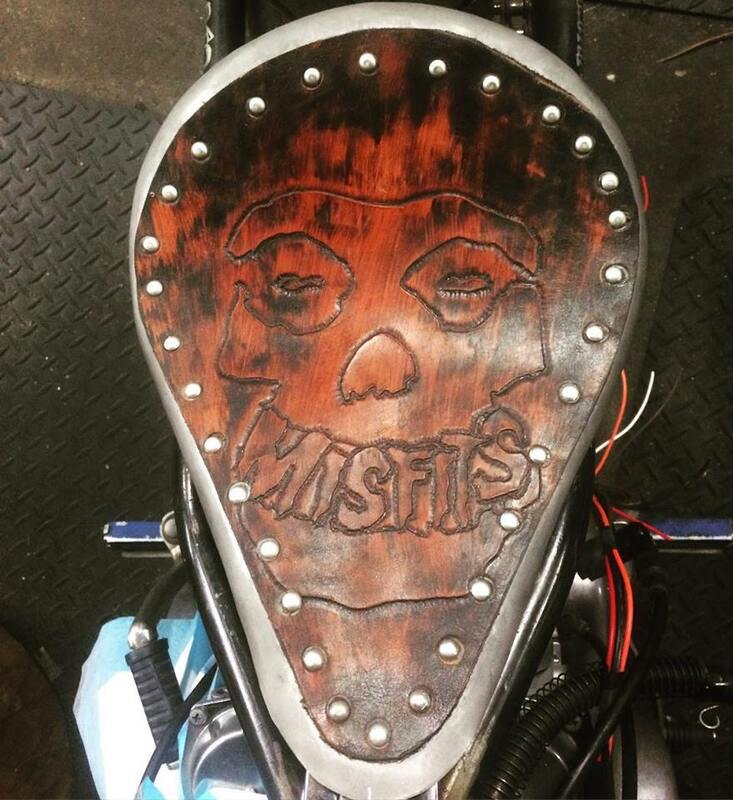 Although, Nik and Davy do a variety of repairs on all types of bikes, their skill is best put to use on the custom projects that stump other shops. Their knowledge of available parts coupled with their ability to fabricate make their custom projects impressive. Suicide Lane Cycles is located at 61 East 700 South, Salt Lake City, UT 84111. They did a good thing by renovating an old shop space in the heart of Salt Lake City. They’ve made the shop comfortable and approachable with a mix of new product and vintage furnishings. They created an environment where you just want to spend the afternoon hanging out and talking with the eclectic clientele that comes by each day. Suicide Lane build full custom choppers, bobbers, cafes and everything in between but they also do a lot of trouble shooting and fabricating to save projects gone sideways. Nik and Davy share a lot of talents but they each tend to have their specialties from welding and fabricating to wiring and troubleshooting. I’ve personally been through more than a few custom projects with them and between the two of them they can do anything. Anything. I might rant for a second here… I am tired of the big boxes and the impersonal feel of most national chains. I like to talk to the boss. I like that at Suicide I am talking with someone that can make a decision and make a difference. No matter how busy their shop is, they always take the time to talk with you and treat you like a human. I stop looking so closely at prices when I am treated with respect. Isn’t this something we should all take a second look at? During the past several years Silicon Valley and the over abundance of tech startups have gotten a lot of press. Very few times do we pay homage to the bootstrappers. The one that start a business the old fashioned way — with hard work and a lot of intensity. When Nik and Davy moved to Salt Lake City they spent the better part of a year cleaning and rehabbing their shop space to clear the way for their new concept. 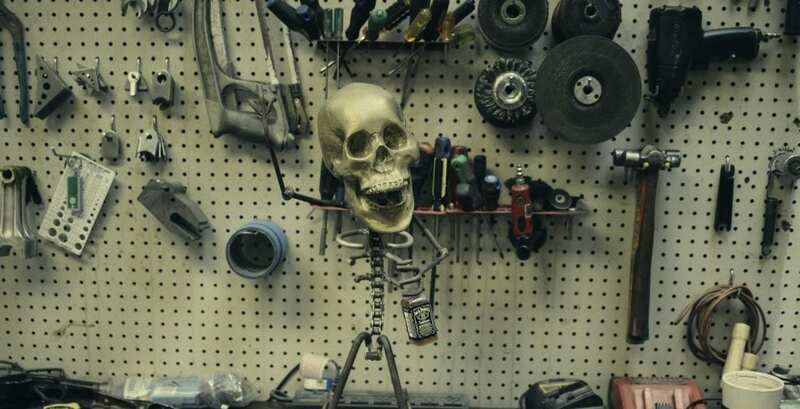 The old building had been overcrowded with auto parts, old tools and a lot of junk. They literally got their hands dirty cleaning the shop space and making way for a dream. There is a very different sense of pride in a business of any size that you can look back at and remember the hours of hard work spent building and establishing. I love that in a very digital world Nik and Davy built something tangible with grit. A few months back (2016) I saw an abandoned early 90s Honda XR 600R in the shop. This isn’t a bike that is new enough that it’s valuable or old enough that it’s collectable. Someone on a budget was simply trying to “get it running” so they could have a dirt bike to ride. 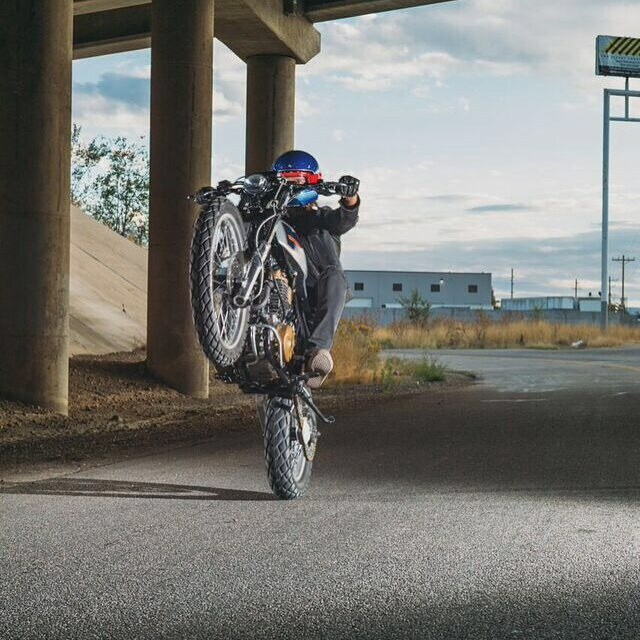 Nik and Davy took the surrendered bike and gave it a brand new life. They stripped it down, polished and cerakoted several parts and created a sharp looking street bike. This bike (last I saw) is sitting in the front window. It’s worth a look. I’m sure they’d sell it so they can start the next creation. Keep it going Nik and Davy!